You love winter walks. Gentle snowflakes tumbling from cottony skies, frozen pines, and fresh, cold air. It’s so beautiful to be outside in a Canadian winter. Except for that one thing. ICE! For many of us, freezing rain or freeze-thaw conditions mean that we choose to stay indoors. But technology keeps evolving, and there are so many ways to find traction on ice, in even the worst conditions. Let’s look to Merrell product tester John Cairns for inspiration. He lost a leg in a workplace accident and now has a prosthetic. With it, he’s hiked to Everest base camp and summited Kilimanjaro. He trusts Merrell shoes with Vibram Arctic soles to ensure he doesn’t fall when hiking on glaciers. 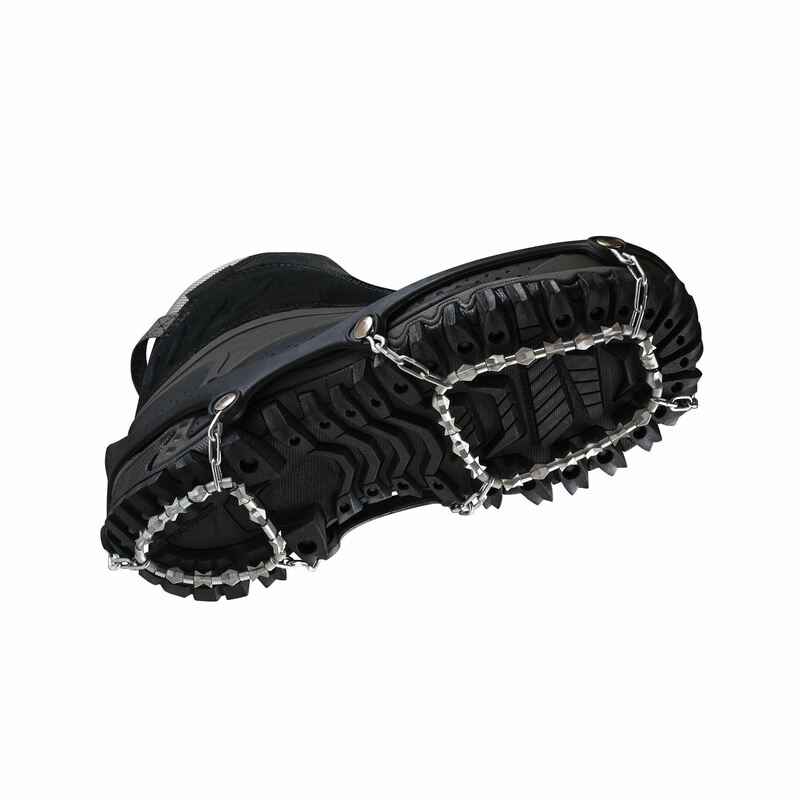 Campers Village has curated an assortment of ice cleats and specialized winter footwear to help you take those first steps to get out on the ice — safely. All this is brought to you by Ken Boyko, the Footwear Buyer for Campers Village. From his home in Calgary, and his wife go walking every day no matter what the conditions. Korkers is a company with over 50 years of experience! This company was born over a quarter of a century ago in the Italian Alps. And guess what the founders were doing at that time? They were in the high end tire chain business. They translated their knowledge into personal traction devices. Good news for us! 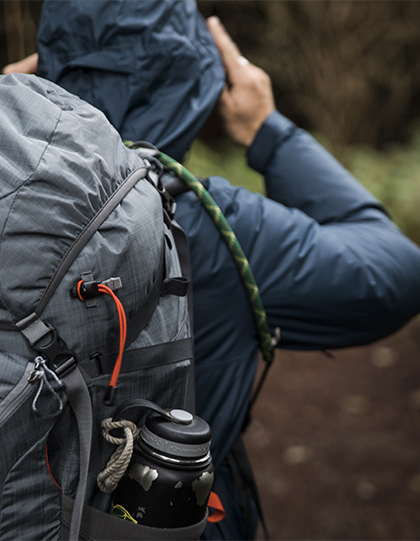 Watch Backpacker Magazine’s review of Kahtoola MicroSpikes here. This Swedish company makes footwear with the spikes built right in! Being an avid walker himself, Ken selected this great product for Campers Village customers. Salomon makes excellent trail runners. 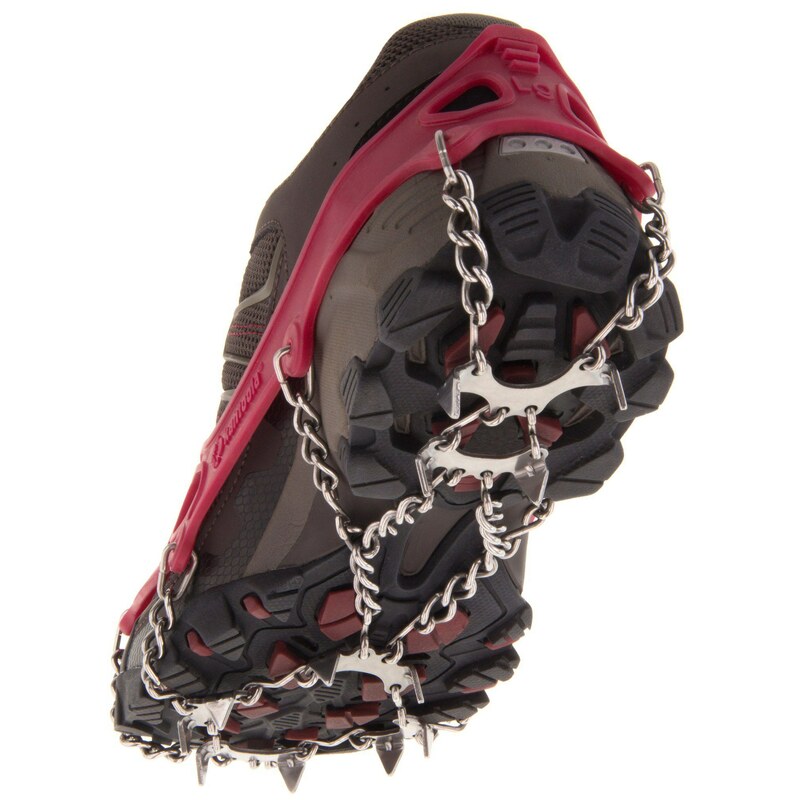 Now, they’ve integrated 15 carbide spikes into the sole, creating sure footing for winter runs. Vibram has long been a producer of durable soles. Now, they’ve created Arctic Grip, and you’ll find these soles on a range of Merrell footwear at Campers Village. The rubber is gritty and sticks well to icy surfaces. “The great thing is that you can wear these in the mall. They’re not like spikes — there’s nothing to take off, and they won’t damage most floor surfaces,” explains Ken.